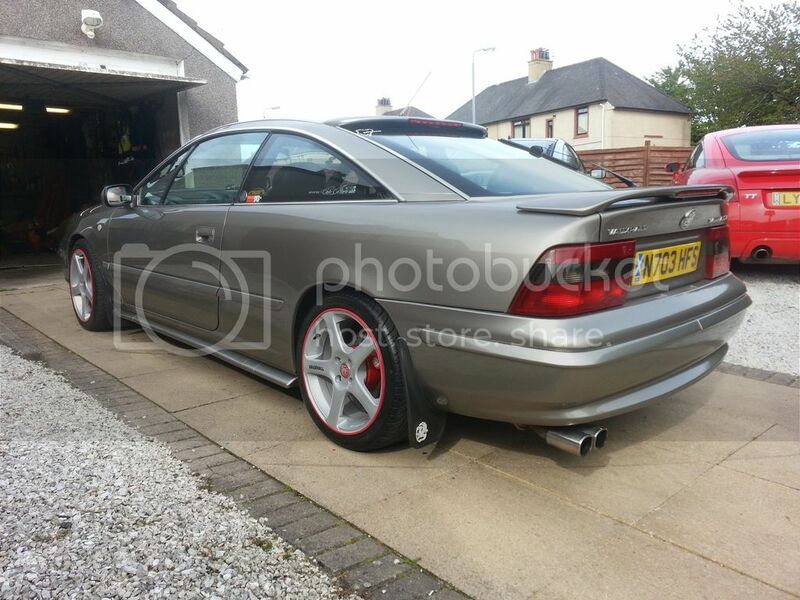 ClubCalibra.net | UK's ONLY Official VBOA Registered Calibra Club & Forum - View topic - Calibra 8v lives again! So I decided to post my little project here too. It's a 1993 Opel Calibra 8v, for the past 6 years it has changed a few owners but it was sitting the entire time so when I had the chance to pick it up for 250€ I took it because it has to be saved from the scrapyard. Fun fact: only 25 Calibras in total left in this country on the roads, three of those turbo and two V6. First step was to do some serious maintenance on the engine, all the belts, pump etc. Previous owners tried to kill the car but they didn't succeed. Belt was barely holding together, water pump was held in by regular silicone and was leaking super hard... Replaced everything, did some work on suspension - bushings, rear brakes (those damn handbrake plates are almost rusted through), brake lines. Went through MOT with zero problems, next step was doing some little jobs like dodgy heater slider, handbrake and shifter boots, then the hood cable got unhooked and couldnt open the hood... stuff like that. Also apparently the wood interior trim is pretty rare so I have that to brag about haha. Also reupholstered the roof lining and the trunk. Plenty of parts broken or missing and it will be a challenge to find some of those. Next step - replacing sills and quarterpanel and then off to paint! Re: Calibra 8v lives again! Boom, no more rust! Getting ready for paint. Now it's time to paint this sucker. Took it all apart, fixed up a few things like the front and back bash bars and painted some stuff black. Time for epoxy filler... added some fibers into it so it won't ever crack, professional stuff. AC delete wohooo weight reduction, it was shot anyways and its a R12 aftermarket system so it was sketchy at best. Bunch more sanding left, the front has replica fenders and hood so nothing really lines up, oh well. This time next week it might be going into painting.